Rack For Scintillation Vial is moulded in Polypropylene are autoclavable & corrosion resistant. There is an individual rack for both 8 ml. & 20 ml. vials. These rugged & stable racks can hold scintillation vials for convenient storage, handling & sample preparations. 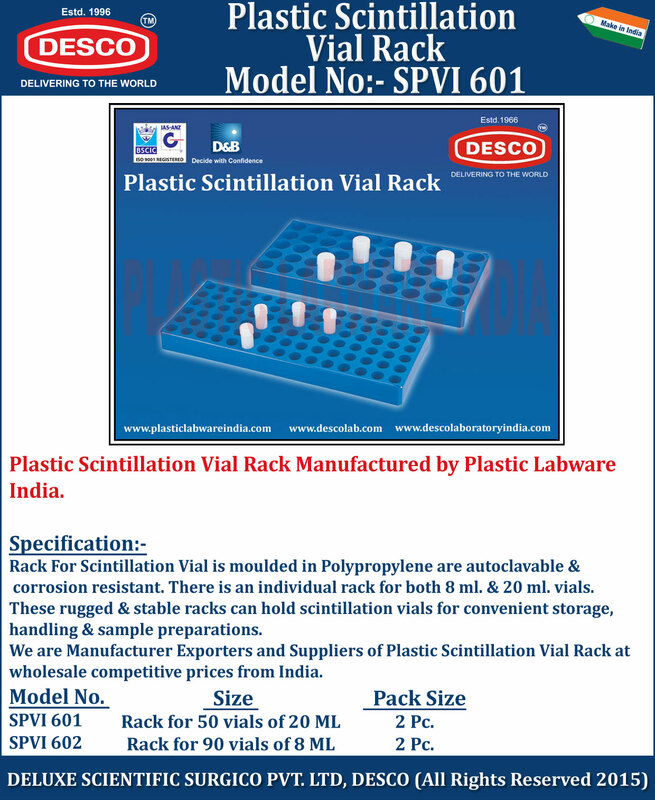 We are Manufacturer Exporters and Suppliers of Plastic Scintillation Vial Rack at wholesale competitive prices from India. SPVI 601 Rack for 50 vials of 20 ML 2 Pc. SPVI 602 Rack for 90 vials of 8 ML 2 Pc.